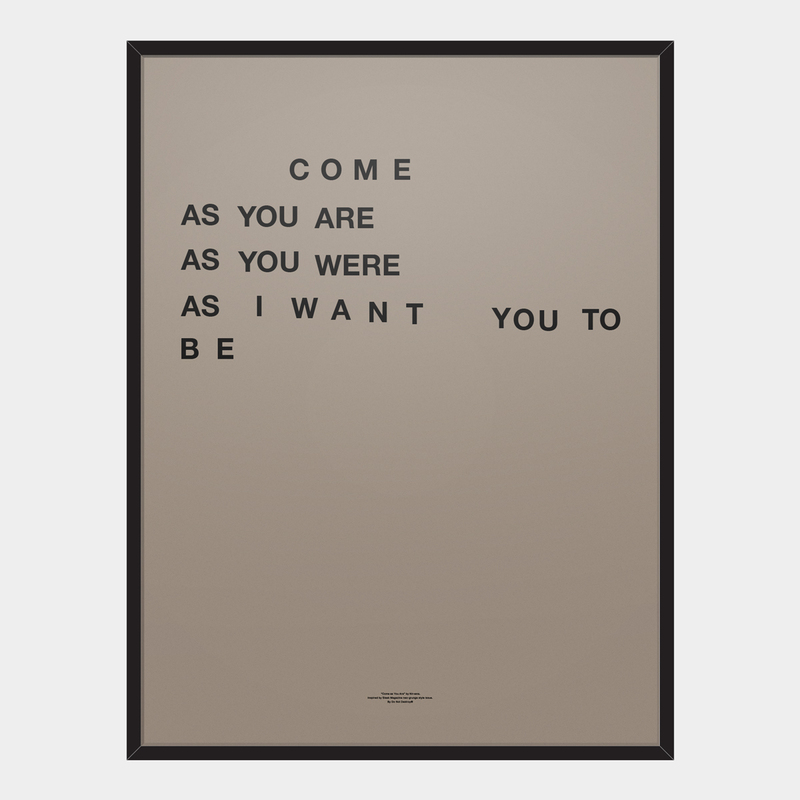 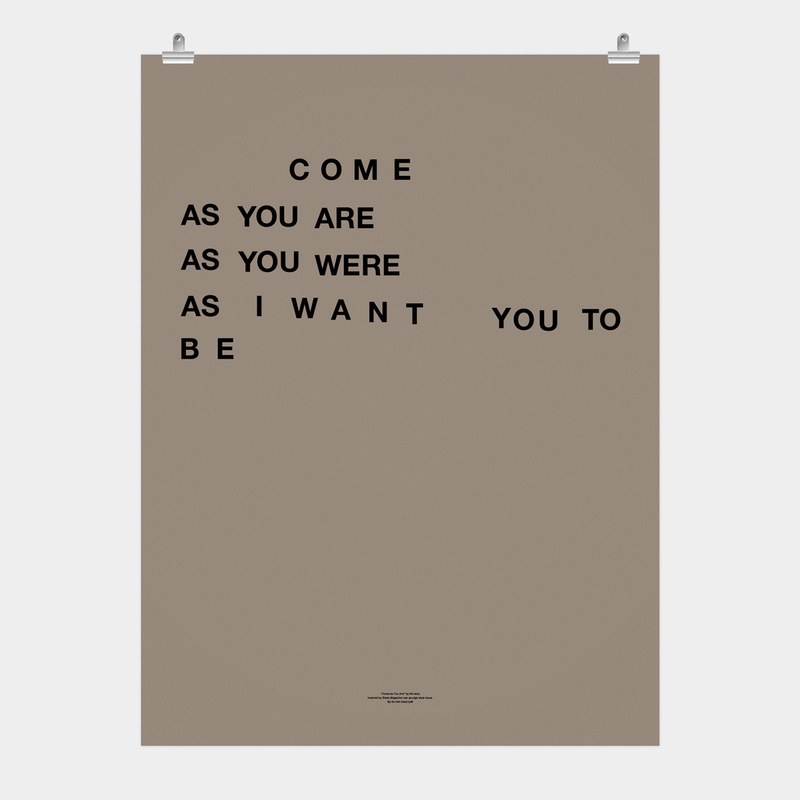 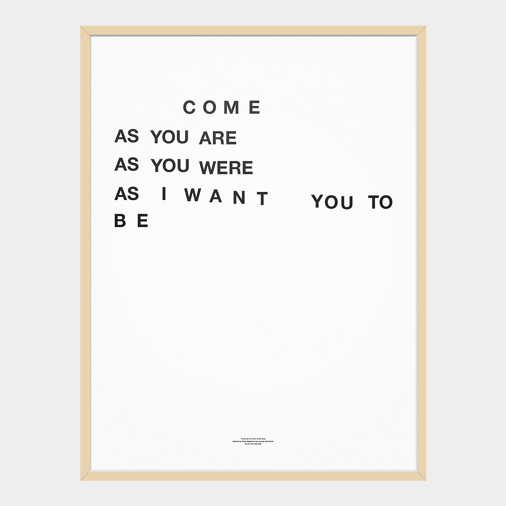 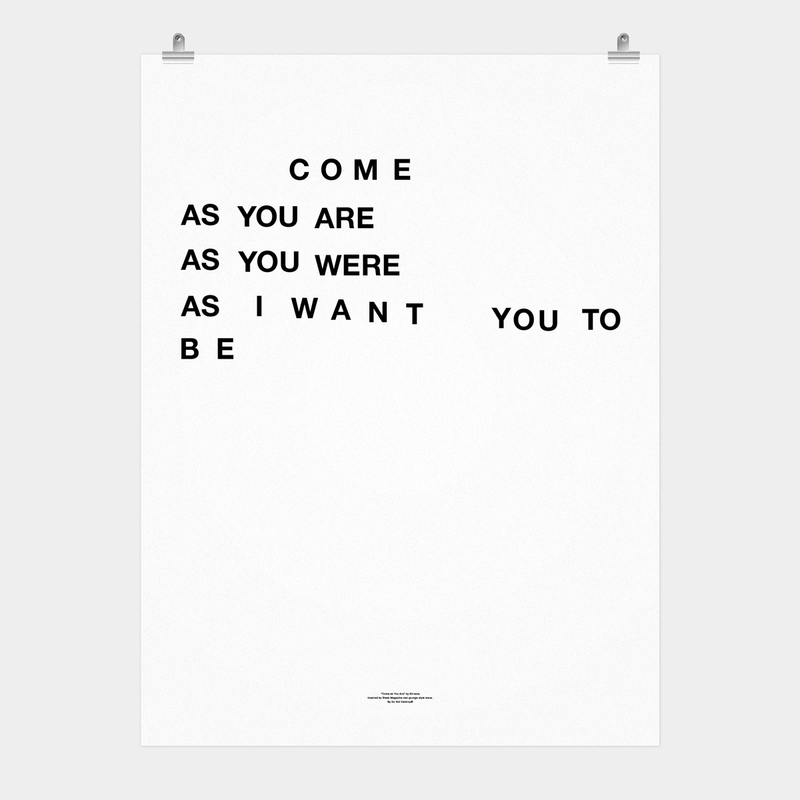 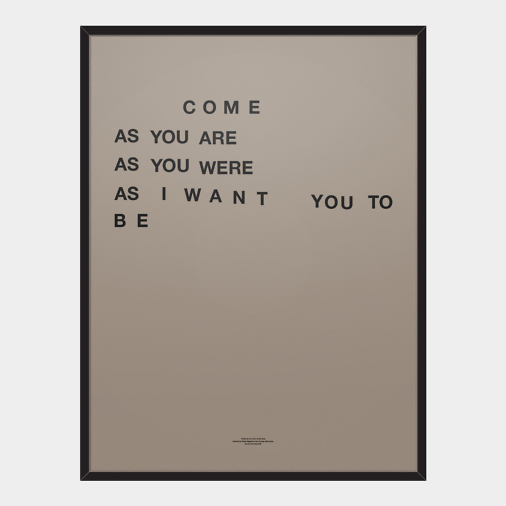 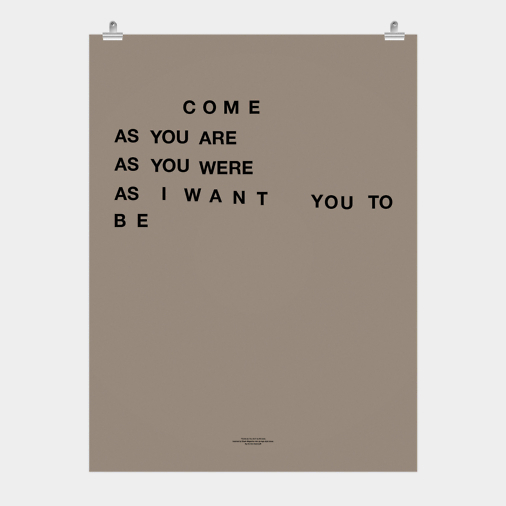 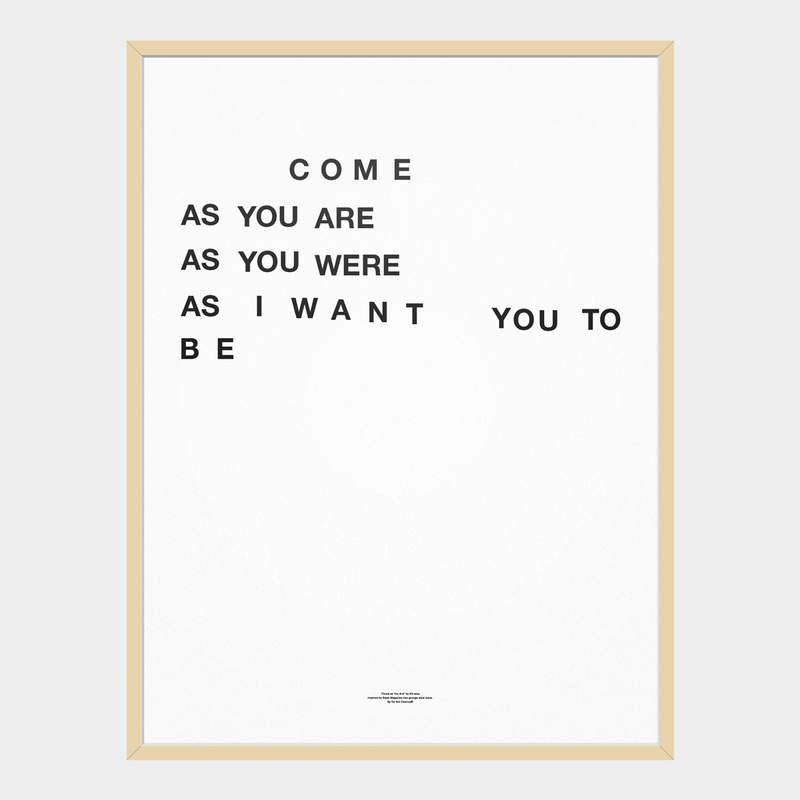 “Come as You Are” by Nirvana poster. Inspired by Sleek Magazine neo-grunge style issue. 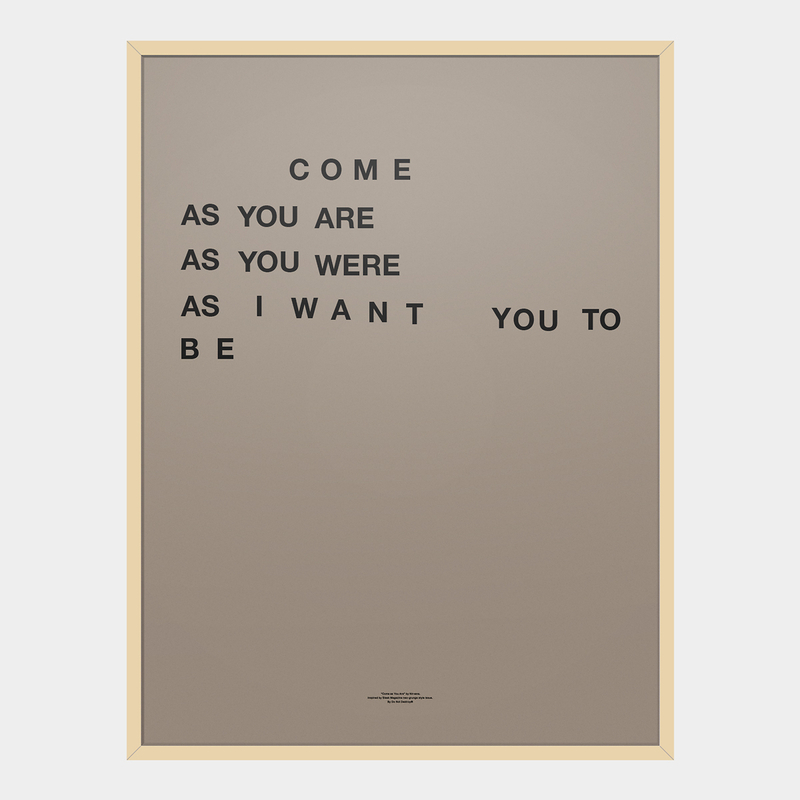 With black type on brown or white background color. 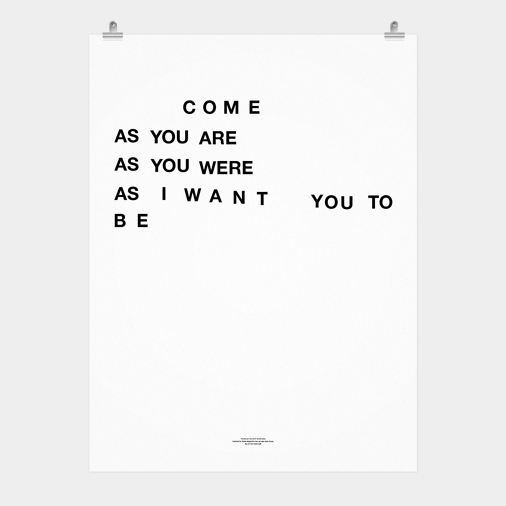 Custom color requests also available. 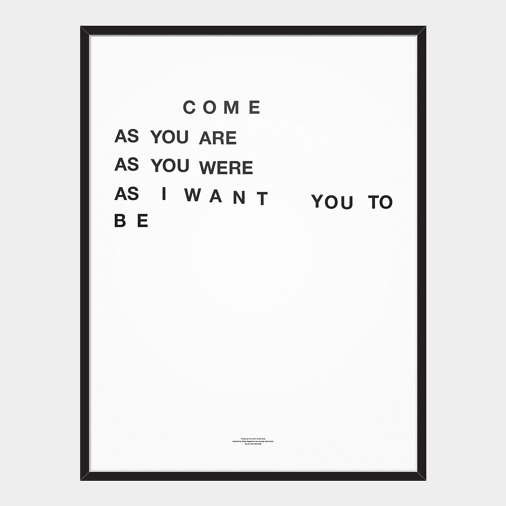 Please let us know.